Security cameras will be coming to the Santa Clara County's Main Jail South in San Jose where two inmates escaped the day before Thanksgiving and stayed out of custody for nearly a week. The Board of Supervisors voted unanimously Tuesday to move ahead with a $300,000 purchase of 224 cameras that will be set up at the aging facility at West Hedding and North San Pedro streets. "Where public safety is at stake, where we know our residents do not want dangerous inmates running around, don’t want people unsupervised in their jails, the price to pay for inaction is pretty high right now," Supervisor Dave Cortese said. The temporary, stand-alone systems will likely be installed by March or April, county officials said. Santa Clara County Undersheriff Carl Neusel also told the board he supported the lowest-cost option that's already being used at the neighboring Main Jail North. The system has helped correctional staff prevent crimes at the jail and capture evidence used in prosecuting inmates who commit offenses while in custody, Neusel said. "I would like to think that having a camera system in South would be a good deterrent, not only to an escape, but to other behavior as well such as assaults," Neusel said. 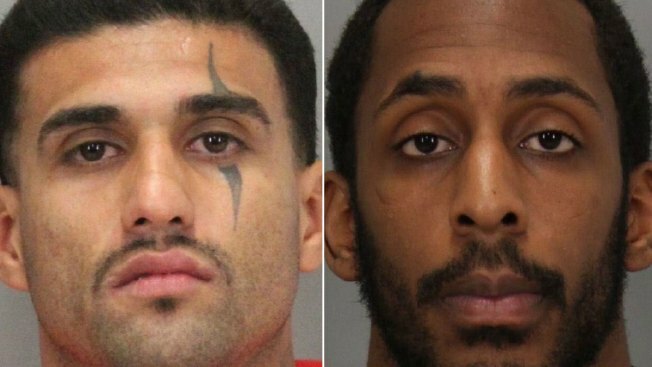 There are currently no surveillance cameras available at Main Jail South, where 26-year-old Laron Campbell of Palo Alto and 33-year-old Rogelio Chavez of San Jose fled from custody on the night of Nov. 23, sheriff's officials said. Campbell and Chavez cut through bars blocking a second-floor window and came down with a rope made of blankets tied together. Two other inmates who also took part in the escape were quickly arrested outside the correctional facility, sheriff's officials said. The investigation and numerous tips led detectives to recapture Campbell and Chavez last Tuesday and Wednesday, respectively, with help from other law enforcement agencies, sheriff's officials said. The U.S. Marshals Service found Campbell at his sister's Antioch home on James Dolon Boulevard, where he was hidden in an attic and crashed through a ceiling to the ground, according to the sheriff's office. Chavez was found the following night after a nearly eight-hour standoff in South San Jose where authorities conducted a probation search of his associate's home, sheriff's officials said. In October, the board asked county staff to look into adding cameras at Main Jail South through a request by Supervisor Cindy Chavez as a safety precaution during a discussion on a video surveillance project at the Main Jail North and Elmwood Correctional Facility in Milpitas. County administrators didn't ask the board to set up the cameras at Main Jail South, which was built in the 1950s and will be dismantled to build Main Jail East, a new correctional site expected to open in 2020. Any information used from the cameras will be transferred to CDs and placed in an investigative file. The footage will be stored on a server for five days before it's deleted to make room for new video, according to county officials.